All health-related information contained within Tierra Healthcare Concepts and THCPhysicians.com is intended to be general in nature and should not be used as a substitute for a visit with a health care professional. 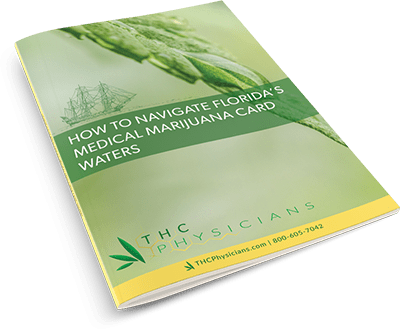 Links to Florida medical marijuana industry news articles and clinical studies found on this site originate from various news media sources and are available to the general public. No information provided in this site may be considered medical advice. Tierra Healthcare Concepts and THCPhysicians.com assumes no responsibility for how you use information obtained from this site. Before making any decisions regarding your health care or the use of Florida medical marijuana, ask your personal physician.